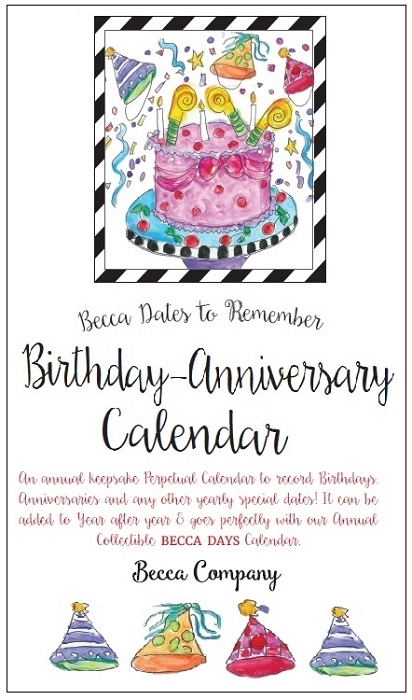 Our Exclusive Becca Perpetual Birthday-Anniversary Calendar includes 12 months of Perpetual Calendar Pages to keep you organized for all those special dates to remember year to year! 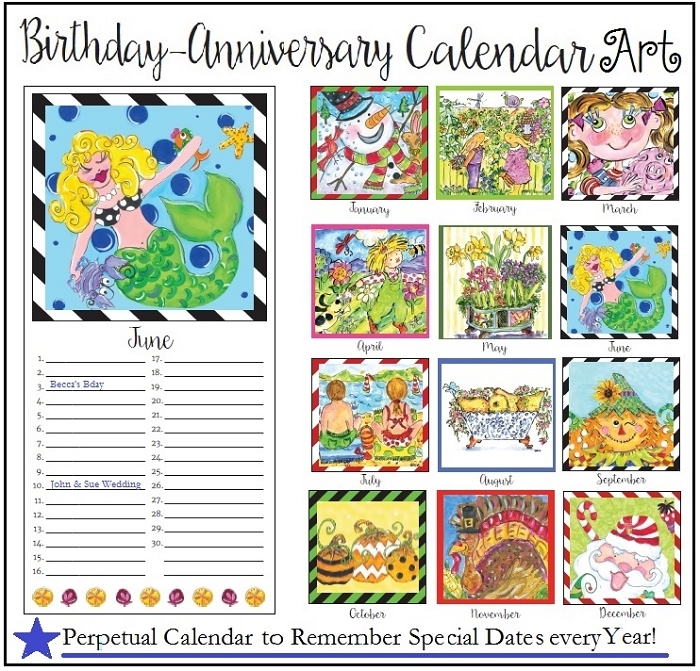 A Great keepsake to give & have! Artist Becca Speight lives in Greenville, NC with her husband & family creating happy whimiscal & artistic expressions!